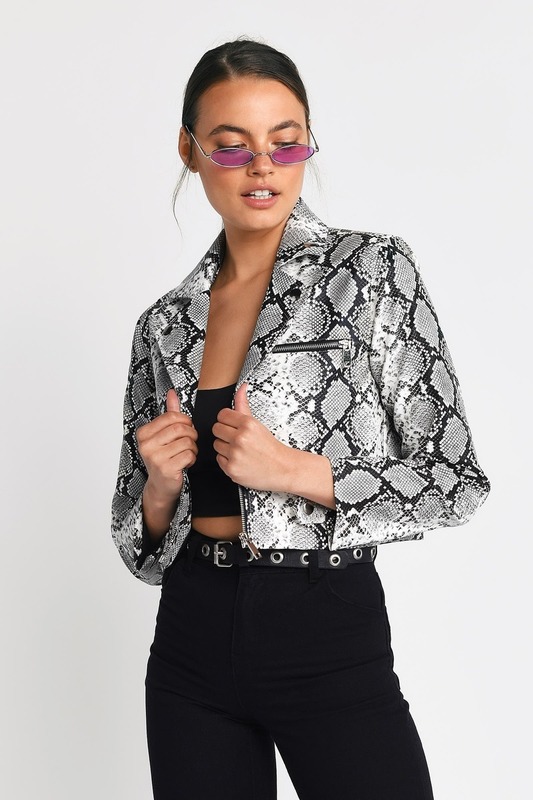 Check out Tobi's Trussst Me Snake Effect Cropped Jacket Stay sassy in snake print with the Trussst Me White Multi Snake Effect Cropped Jacket. This vegan leather moto jacket features a cropped construction with a zipper front and collar, side zippers, and structured sleeves. Pair this faux snakeskin jacket with the Halen High Waisted Snake Effect Straight Leg Pants for a set that won't quit. 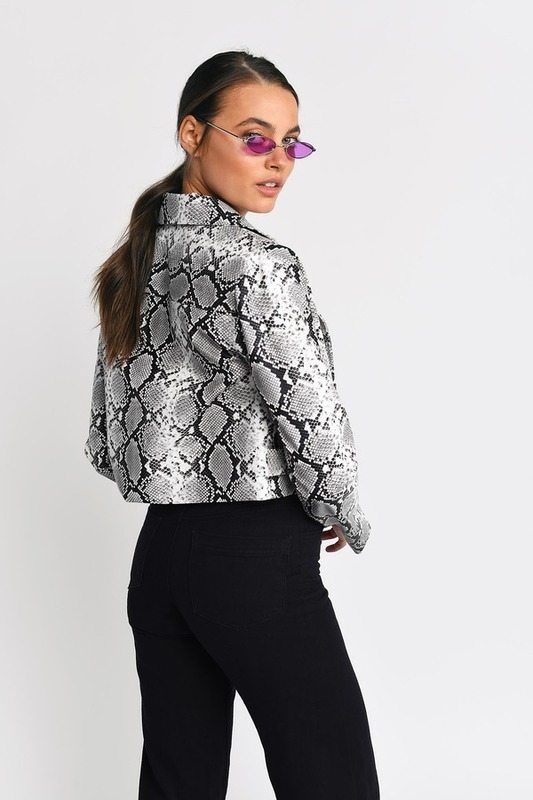 Stay sassy in snake print with the Trussst Me White Multi Snake Effect Cropped Jacket. This vegan leather moto jacket features a cropped construction with a zipper front and collar, side zippers, and structured sleeves. 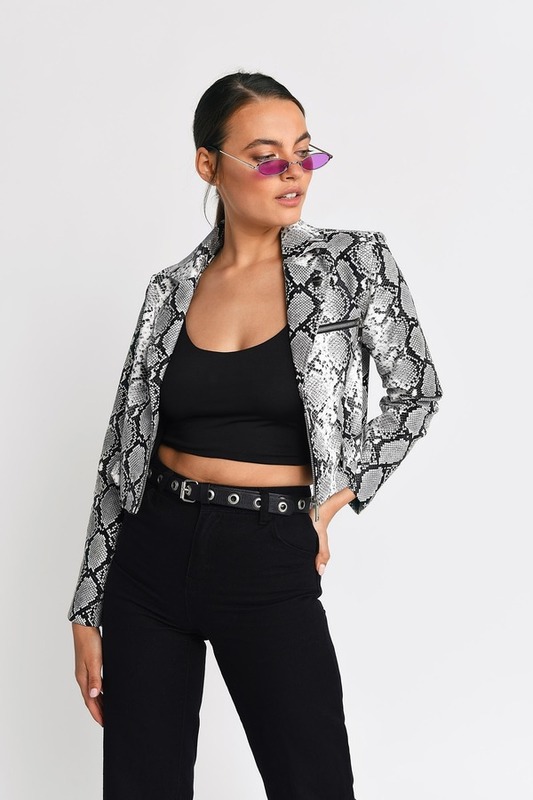 Pair this faux snakeskin jacket with the Halen High Waisted Snake Effect Straight Leg Pants for a set that won't quit.